In 1957, when Toyota first came to America, Elvis was king of rock n' roll, big cars with tailfins were "in" and postage stamps were just 3 cents. After a poor start with a car called the "Toyopet," Toyota came back strong in 1965 with the popular 90-horsepower Corona sedan. Then there was the Corolla, Camry, Toyota trucks, the Lexus luxury brand, Scion, and the world's first gas/electric hybrid Prius...a car we built for the 21st century. Along the way, we've learned a lot and enjoyed the support of American consumers who have embraced the quality, dependability and reliability of our vehicles. 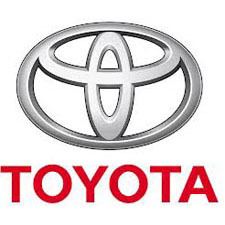 Today, Toyota is one of the top-selling brands in America and we are committed to continuous improvement in everything we do, along with breakthrough products for the future.